Release Date November 5, 2004. 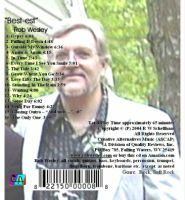 Description: This cd contains songs selected from various, yet-unreleased cd collections which Rob has written and recorded 2001-2003. 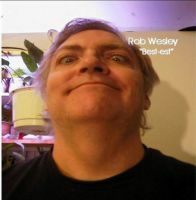 Rob sings and plays all of the musical instrument parts, other than the addition of a few drum/percussion tracks on several songs by son David Schellhaas. The song styles in this collection focus loosely in the rock to softer-rock (possibly bordering even on some pop-rock in a few instances) genre's, as opposed to Rob's other cd-release of this same date (Iron Man, which focuses more in the rock to hard-rock or even bordering on metal genre's). The overall mood of the collection is rather upbeat and yet heart-felt. In this, his first solo release, he introduces a lesser-known side of his musical writing and playing styles, in the softer to mid-range rock genre, as opposed to his better-known reputation as a rock/blues/psychedelic lead guitarist. He follows only his own inspirations, in creating these songs.